Usually, initially there’s a CAD solution, an accounting package and maybe even a homemade database system. In addition, there are tons of spreadsheets in active use, plus thousands of spreadsheets in the archives. And, of course, the good old gut-feeling. Often, owners of these businesses find themselves cornered. It seems that the only way to improve is to find a big old ERP that universally does everything. However, they haven’t found such a solution yet, or it is extremely expensive. However, now in the Internet era, many businesses have found a smarter piece-by-piece approach, where they handpick dedicated pieces for certain critical roles instead of an all-universal solution. Usually, these solutions are easier to adopt and are excellent in their specific areas. Cleanliness and organization are the foundation for success. A half-a-century old acronym must never be forgotten: GIGO – Garbage In, Garbage Out. The results software yields are only as good as the data that is fed into the software. If your company is unorganized and the data is not clean, then the results will be of low quality. Implement some lean manufacturing principles; e.g. 5S, or at least aspects of it, should be implemented. Proper management, good leadership practices, well designed processes and a culture of excellence are the gold standards of a successful company. We’ve yet to see a successful company that lacks these standards but makes up for it with great IT solutions. Besides just making technical drawings, the design software should be able to perform critical functions specific to your business, like generating bills of materials and production routings. In addition, it should be able to generate or support CNC programs when necessary. These kinds of solutions are called CAD/CAM, or industry-specific product configurators. It is most important that the CAD is industry-specific. Why? It saves a lot of time, prevents mistakes and helps to consistently deliver high quality. In addition, these usually have outputs, which are important inputs for manufacturing planning systems, like BOMs and production routings. Product configurators don’t always work exactly like a CAD, where you draw the product, but instead just “configure” it by inputting certain parameter values. This, of course, assumes that there’s a certain limit to what’s possible. The output is drawings, BOMs, routings, etc. Using it requires much less skill, training and effort to achieve. Often enough, even though the product technology may be quite complex, the in-house IT department, or local IT-development firm, could program something like this if you don’t find a suitable solution out of the box. Often enough simpler configurators are included in manufacturing ERP packages. A very good example of an industry-specific configurator is found in window manufacturing. A product configurator can be used by the least trained salesmen who just have to enter window parameters, and the software generates drawings, bills of materials and production routings – fully automatically – without any necessity for a highly skilled engineer. If your company makes complex bespoke products, then a PDM solution is very nice to have, which very often comes together with your CAD, or manufacturing ERP. But there are also 3rd party solutions, systems that organize your engineers’ tasks into a central place. This is where they manage their work, products and design the production process. 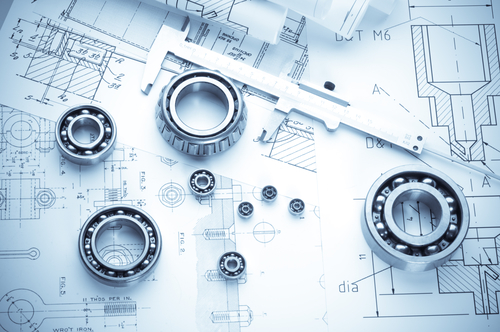 Creating a Bill of Materials and a list of operations is not yet production planning – a common misinterpretation – it’s just part of the product design. Often, there are many versions of BOMs and production routings. Some live, others not. Engineering BOMs may greatly differ from manufacturing BOMs. Engineering change orders might need to be managed. Special approval processes might be needed. Change history must be available. This is the purpose of a proper PDM module – to centrally manage the design aspect of the product. 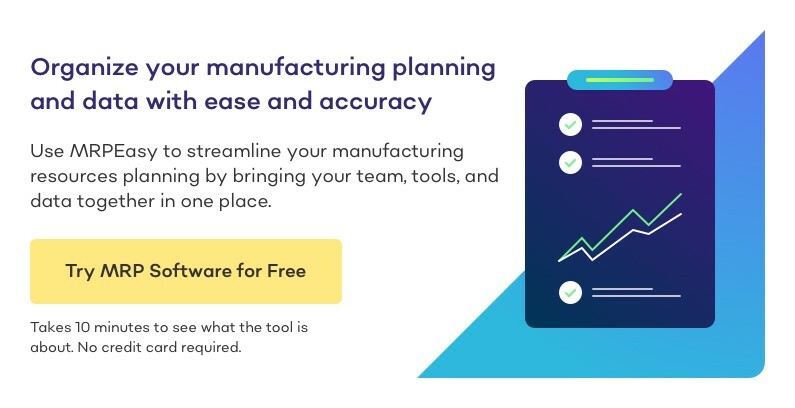 A manufacturing system is for planning materials and scheduling production, managing procurement and inventory and keeping track of sales orders from estimating a quotation until delivered and invoiced. This is management of the cross-functional and operational side of the business. This is very often the step to which many companies jump directly. While okay in many cases, especially standard products, in other cases not. 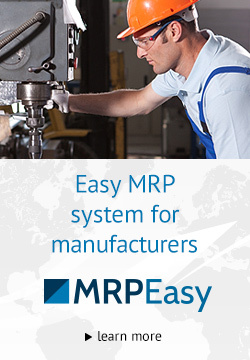 The common mistake is that on top of what it’s meant for, it’s expected that the MRP system be able to excel at design of the products and production process and management of the engineering data, which is actually the domain of CAD software – configuration of the products, generation of bills of materials and production routings based on drawings, etc. Even though some manufacturing ERPs offer quite powerful PDMs and configurators (matrix BOMs, parametrical BOMs, BOM version controls, etc. ), these can still have some limitations that an industry-specific CAD, PDM, or configurator can overcome with grace. Why is this only piece number 3? It’s not possible with full efficiency to manage very complex bespoke products and production processes in any ERP if there is no solution that generates the data quickly, efficiently and with high quality (remember GIGO! ), which the manufacturing system can then use for what it does best. Shop floor reporting of work orders is the domain of Manufacturing Execution Software (MES), which workers can access and then get information and report their operations in real-time. This could mean anything from reporting start-pause-stop of manufacturing operations, reporting consumption of materials, picking of items from stock, shipment and receipt. In legacy systems, this is often a module or software that is separately installed on computers on the shop floor. In modern, especially could-based manufacturing systems, the MES is fully built into the manufacturing management system, where shop floor workers simply access the software via the web browser, no matter the device, and not a separate MES application. Even though this is often part of the manufacturing ERP package, it can still be considered a separate piece because shop floor reporting cannot be started before the manufacturing ERP system is fairly implemented (which is mostly meant for mid-level management vs. frontline workers). Before going forward with any integration, it’s crucial to understand why and how the integration must be built. Building something “just in case” is a waste. With each integration, the question must be asked: How much value will this bring to my company? Still, contrary to what one might think, separate systems, when correctly chosen, and which fill certain critical roles very well, do not always have to be integrated to work well. Some systems may never need to be integrated; others may need to be integrated down the road. First, you might have your CAD, configurator and PDM working together in one silo, and have your MRP, MES and accounting working in another silo. This is a great place in which to find your company, especially if just coming from spreadsheets. Your engineering team already has the tools in place to communicate with one another and efficiently design quality products with the least room for human-error in the design phase. Your production management, shop floor, sales, procurement and stock workers have the tools in place to communicate with each other in real-time and build quality products on time. Your accounting department can get high-quality data about inventory financials, detailed stock movements, product costing, direct labor, cost of goods sold (COGS), etc. from the manufacturing side of the ERP system. The accounting department does not have to gather all data manually, which is a huge bonus. 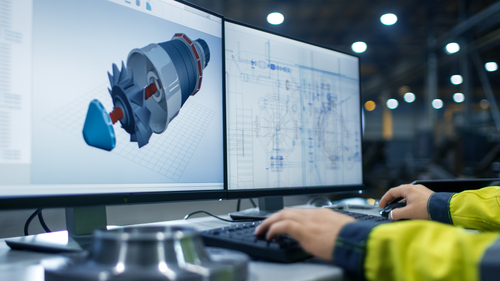 The next logical steps are to bring the design and PDM software into contact with the manufacturing system, so movement of product data is seamless. In addition, it’s possible to find many other pieces for specific roles, like human resources, e-commerce (which could even be used as a customer portal for B2B), time-attendance, general projects management, payroll, employee training software, etc. When your company has found these pieces, the data will seamlessly flow to the central MRP/ERP and from the MES system so that the right materials will be procured, products manufactured and delivered to the customer at the right time – all in one unified system.